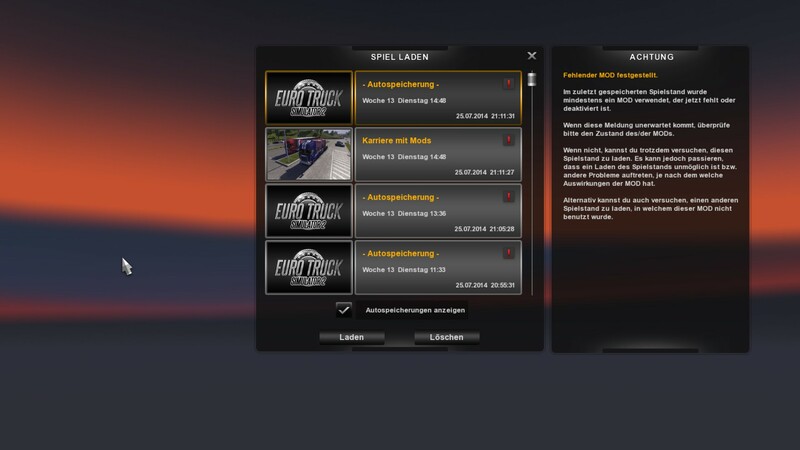 So, since the new update, I cant start my Profile with ProMods. I removed the Mod but then it said that the mod is missing so I cant play most of my Savegames. Does anybody know what I need to do to play it with ProMods again? Pics below dont have ProMods. Maybe ProMods isnt compatible with the new version of ETS2? 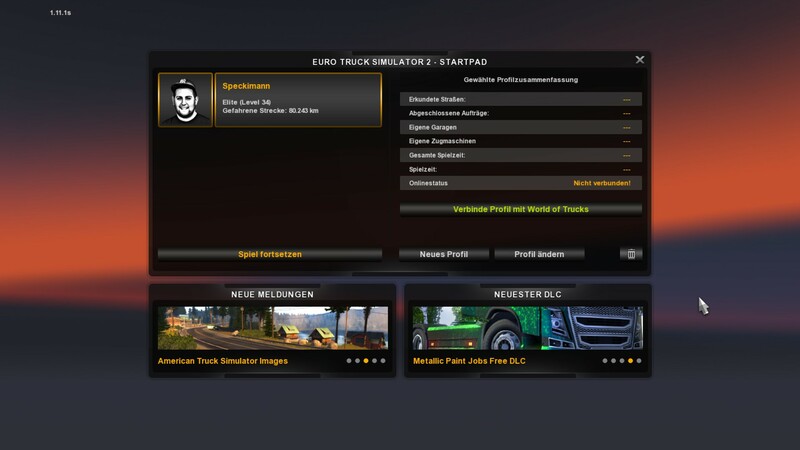 If yes the makers of ProMods have to make it compatible with the new version. So I maybe just wait and search at ProMods? Yes keep an eye on ProMods and maybe they will bring a new version in the comming days. Yes, most likely its because the promod is yet not compatible with 1.11 . Just wait few days and they will update it. Btw you should still be able to play without the mod. But my latest Savegame is with this mod and I dont want to risk of damaging it. Make a copy of it and then try to use it.